Qatar's telecom operator Qtel has begun testing of its 4G LTE network, company announced today. 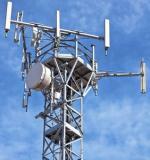 Qtel plans to launch LTE service commercially in the end of 2012. Operator started to rollout its 4G LTE network earlier this year and is confident that it will integrate smoothly with the existing 3G network. 2012-03-15, Shenzhen, China – ZTE Corporation (“ZTE”) (H share stock code: 0763.HK / A share stock code: 000063.SZ), a publicly-listed global provider of telecommunications equipment and network solutions, completed a comprehensive frame agreement with the Qtel Group, which will see the two companies become strategic partners. Qatar Telecom (Qtel) has announced the launch of a new LTE program to deliver 4G network in Qatar. March 10, 2010 - Qtel today confirmed that it is trialling innovative new technologies in Qatar that will greatly improve mobile signal strength in homes and small offices around the country.